Teledermatology is at the forefront of this digital health revolution, and First Derm uses innovation and quality healthcare to drive this revolution forward. Today, our population faces serious health related threats as the baby-boomer generation becomes elderly, viruses such as Zika spread throughout the world, and chronic diseases such as cancer develop without a cure. At the same time, technology has advanced and found its way to the pockets of vast segments of society through mobile devices. The intersection between health related threats and accessible technology presents us with the perfect opportunity to improve the lives of many, at a fast rate. This is the digital health revolution that can improve not only patient outcomes, but also the efficiency of our healthcare system. Teledermatology is at the forefront of this digital health revolution, and First Derm uses innovation and quality healthcare to drive this revolution forward. Academic research focusing on the impact and accuracy of teledermatology began in 2009 when Dr. Alexander Börve and his colleagues conducted a pilot study in Swedish primary care centers. This pilot study, driven by iDoc24 Inc., illustrated the convenience of an app which provides medical information services through a mobile device. Individuals and/or physicians were able to take a picture of a skin ailment, send the picture anonymously to a dermatologist, and receive a response within 24 hours for an affordable price.1 Dermatologists provided the user with a suggested diagnosis and a recommended treatment. This business to consumer (B to C) model eventually developed into the First Derm app, which the consumer can download for free and anonymously (no registration or e-mail necessary) under HIPAA. Meanwhile, the business to business (B to B) model evolved into the iDoc24 PRO app, allowing healthcare professionals to register for an account with the app with HIPAA compliance. With the remaining 20% of referrals that were not suspected to be (classified as) skin cancer, the family doctor did not need to send in the patient for a dermatologist visit for further inspection, but were given a skin treatment recommendation.2 However, suspected skin cancer lesions were difficult to diagnose due to low image resolution of the cell phone camera. 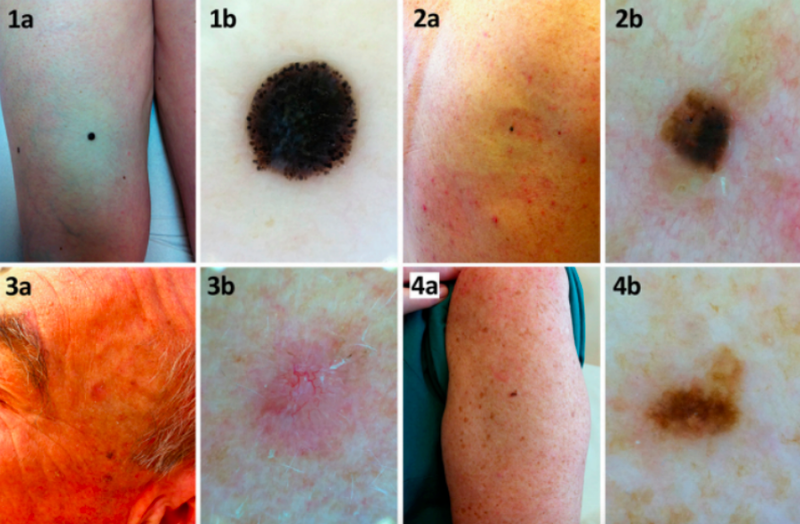 With the diagnostic accuracy to be comparable to face-to-face visits on suspected skin cancer lesions, teledermoscopy offers the patient less time waiting for a suggested diagnosis and treatment option. Each progressive study allowed Dr. Börve and his team to refine the methodology of teledermatology. The main flaw in early studies was the low picture quality to assess possible skin cancer lesions, which in turn affected the accuracy of diagnosis and triage decisions. This prompted the innovation of the dermoscope to improve accuracy across the board. Teledermoscopy has demonstrated a very comparable diagnostic accuracy to a face to face appointment with a dermatologist.4 With the diagnostic accuracy to be comparable to face-to-face visits on suspected skin cancer lesions, teledermoscopy offers the patient less time waiting for a suggested diagnosis and treatment option. Less time spent waiting means less time cancer can grow deeper into the skin. As a result, 93% of patients in the sample had treatment on the first visit compared to 82% in the traditional referral method. 12,000 people die of skin cancer every year in the USA. Unlike most cancers, skin cancer has a very high survival rate if detected early enough. Studies from Australia show that education and proactive screening can save people from skin cancer deaths. 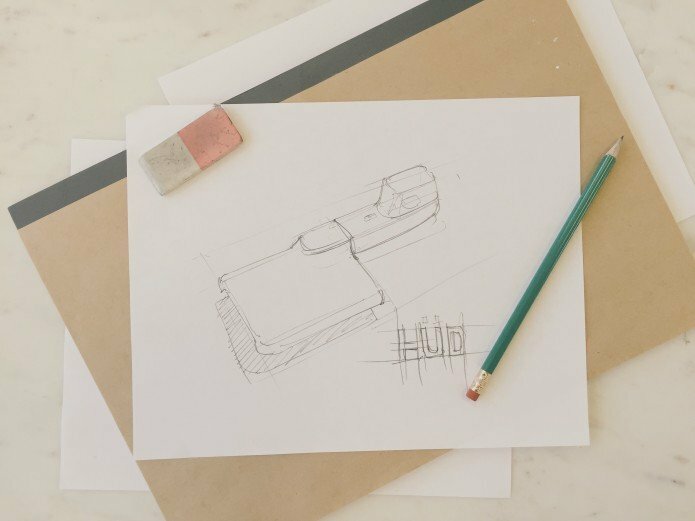 Today we introduce HÜD, the first dermoscope designed for the home. 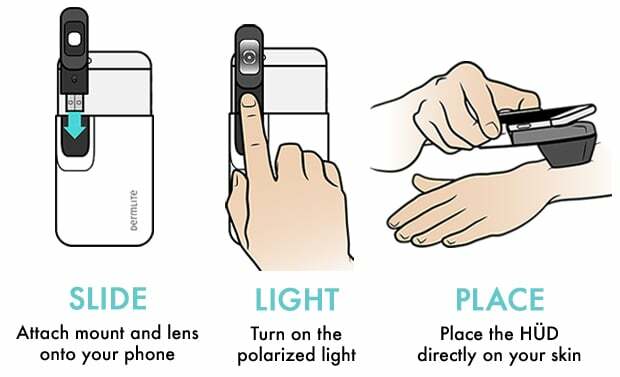 A dermoscope is a magnifying glass with LED lighting that is used in everyday practice in the dermatology practice. As a consumer, you can screen worrisome lesions that you think are potentially skin cancer and receive an opinion from a board certified dermatologist that is educated in reading dermoscopy images within hours. If you have more than 3 possible skin cancer lesions that you want examined, we recommend you to see a dermatologist for a full body skin examination. However, our service is well-suited to check out one off lesions that may be worrying you between regular checkups. You can use the dermoscope on yourself, your partner, your parents or your kids. 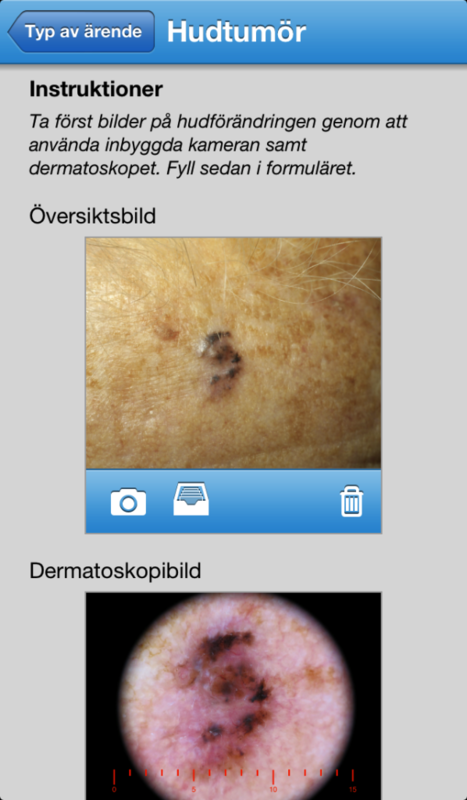 From our experience date to date, suspicious skin lesions are difficult to assess with only a smartphone camera. With a dermoscope, such as HÜD, our scientific studies have shown results comparable with an face-to-face visit to the dermatologist. Telehealth, particularly teledermatology, can save the healthcare system several million dollars by accurately and time efficiently diagnosing and triaging patients. To further explore the benefits of this technology, a cost-minimization report is being drafted to reveal the preliminary findings of First Derm. Telehealth, and specifically teledermatology, can save the healthcare system several million dollars by accurately and time efficiently diagnosing and triaging patients. On a macroscopic scale, teledermatology has demonstrated a higher accuracy of triage referrals compared to paper referrals. Furthermore, this technology has the capability to filter cases that can be managed outside the hospital for a fraction of the cost. It is a technology designed for the purpose of connecting doctors with patients to provide pertinent medical information. On average there are about 3 dermatologist per 100,000 people in the US (fluctuating with population density).6 With this shortage of dermatologists, teledermatology and teledermoscopy provides a selective screening of cases unparalleled in our current healthcare system. 70% of the cases First Derm receives have been recommended treatment with over-the-counter medications, while only 30% are advised to seek a face-to-face visit.7 First Derm promotes a more efficient use of resources, time and money for doctors and patients via telehealth. Since our population is living longer, our healthcare system needs to evolve to serve more people more efficiently. A recent study estimates that 1 in 5 Americans will develop skin cancer within their lifetime, demonstrating the importance of diagnostic accuracy, triage management, cost and convenience.8 On average, primary care physicians only have an estimated 50% pretest examination and management accuracy of skin ailments, while teledermoscopists via First Derm are 90+% accurate and dermatologist face-to-face (FTF) are 98+% accurate.4,9 First Derm offers diagnostic accuracy comparable to a dermatologist FTF. Additionally, the technology enables swift triaging of patients through the convenience of a mobile phone. Ultimately, First Derm is efficiently and conveniently bridging the information gap between dermatologists and patients. Within hours accurate treatment recommendations and triage decisions are delivered to patients. First Derm is offering a research supported product employing accredited dermatologists that respond quickly to anonymous cases for an affordable price. As technology evolves, features of this app have the potential to progress as well. Upgrading the dermoscope further will improve picture quality, in turn increasing the accuracy of dermatologists’ assessment. Even though technological advances shows promise for the future, all telehealth will have to overcome the slow-moving government policies and overall reluctance of change by doctors and the healthcare industry as a whole. In the face of adversity, First Derm is merging healthcare and technology to provide an efficient, convenient, and affordable product. Börve A., and R. Molina-Martinez. “A Pilot Study of a Medical Information Service Using Mobile Phones in Sweden.” Journal of Telemedicine and Telecare 15.8 (2009): 421-22. Web. Börve A., Holst A., Gente-Lidholm A, Molina-Martinez R., and Paoli J. “Use of the mobile phone multimedia messaging service for teledermatology.” Journal of Telemedicine and Telecare (2012): 18- 292. Web. Kroemer, S., J. Frühauf, T.m. Campbell, C. Massone, G. Schwantzer, H.p. Soyer, and R. Hofmann-Wellenhof. “Mobile Teledermatology for Skin Tumour Screening: Diagnostic Accuracy of Clinical and Dermoscopic Image Tele-evaluation Using Cellular Phones.” British Journal of Dermatology 164.5 (2011): 973-79. Web. Börve, A., Terstappen K., Sandberg C., and Paoli J. “Mobile Teledermoscopy—there’s an App for That!” Dermatology Practical & Conceptual 3.2 (2013): n. pag. Web. Yoo, J. Y., and D. S. Rigel. “Trends in Dermatology: Geographic Density of US Dermatologists.” Archives of Dermatology 146.7 (2010): 779. Web. Buhr, Sarah. “An App That Detects STDs In The Privacy Of Your Own Home.” TechCrunch. TechCrunch, 19 June 2014. Web. 10 July 2014. Ramsay, D. L., and A. B. Fox. “The Ability of Primary Care Physicians to Recognize the Common Dermatoses.” Archives of Dermatology 117.10 (1981): 620-22. Web.